Chinatown in downtown Honolulu, one of the things to do on Oahu. Here are some of the less well known, but nevertheless interesting, things to do on Oahu. When visitors travel to Oahu, most visit the traditional places that most tourists flock to. And they should too, because places like the Arizona Memorial, Punchbowl Cemetery and Iolani Palace are well worth visiting. These are places with historic, scenic and cultural value. But there are some less frequented places on the Gathering Isle of Oahu that tourists should take the time to see too. Here are some of those hidden gems. 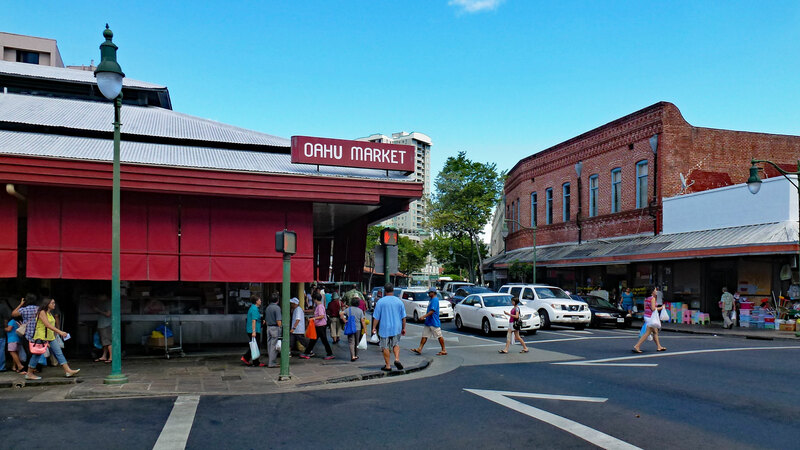 The Chinatown area of downtown Honolulu just might be Oahu most colorful and ethnically varied shopping venue. Here, you can find fresh fish and seafood caught right off of Oahu’s coast. You can then shop for fresh vegetables and fruits from a wide range of Pacific Basin cultures. There are also places where you can purchase fresh flower and leis to brighten up your day. This is certainly one of the must see things to do on Oahu. Waikahalulu Falls in Queen Liliuokalani Gardens. Conveniently located near downtown Honolulu is the idyllic Queen Liliuokalani Gardens. The gardens feature a wide range of native Hawaiian plants. 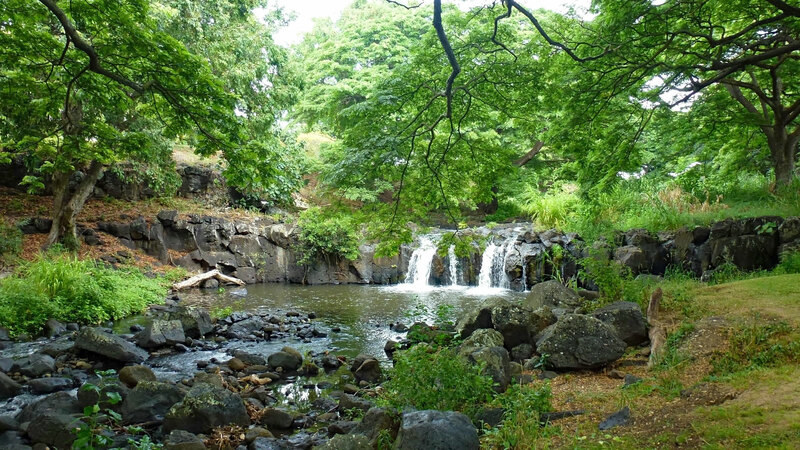 There is also the small but scenic Waikahalulu waterfall within the banyan tree canopied park. This quaint picturesque area was once owned and frequented by Hawaii’s last reigning monarch, Queen Liliuokalani. She later donated it to the City and County of Honolulu for public use. View of Honolulu from Tantalus Lookout. Arguably this park on Mt. 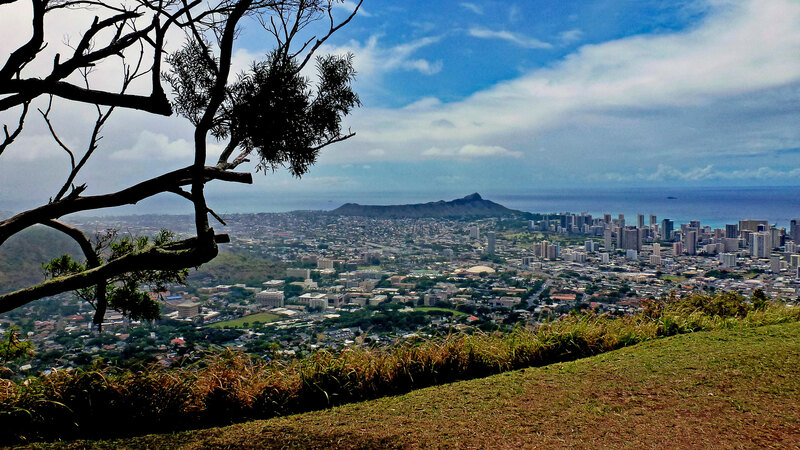 Tantalus in the Makiki area offers the best views of Honolulu. You should certainly bring your camera here. Then, you can share what Hawaii’s largest and capital city looks like on social media. Pack a lunch with you as there are a number of park benches where you have your meal. Then enjoy the scenic vista from this mountain top park. According to some, the Dole Plantation Store outside of Wahiawa has the world’s largest plant maze. Here, you can try to break the record for the amount of time to exist the maze. In addition to the maze, you can view a wide variety of pineapples that Dole has grown in Hawaii as well as elsewhere. Also, you can shop for all kinds of pineapple related treats and souvenirs at the store. View from Makapu’u Lighthouse Trail. Here on the eastern end of Oahu, you can take a brisk 1 mile hike to the historic Makapu’u Lighthouse. The Coast Guard built the lighthouse in 1909. 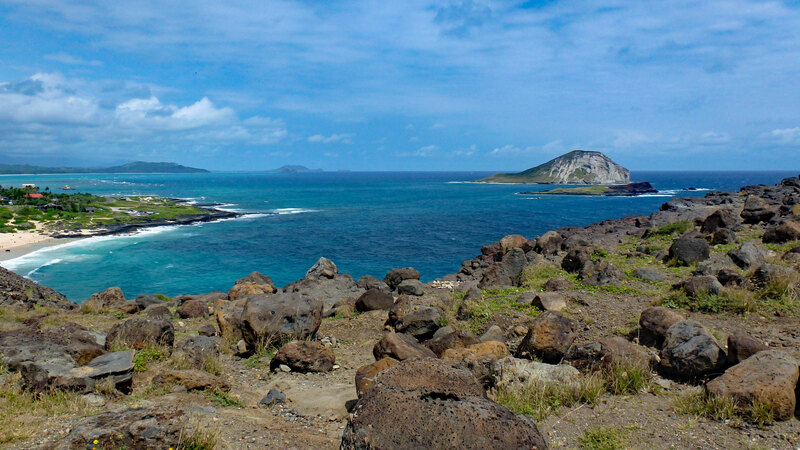 Along the way, you can get views of the seacoast and Manana and Kaohikaipu islands off Makapu’u Point. This is also an excellent venue to see seabirds like the iwa, frigate bird and tropicbird. On a clear day, you can see the islands of Molokai and Lanai on the horizon.